Hello and welcome ,we are Debbie and Peter Payne and we are your hosts at The Rosscourt. 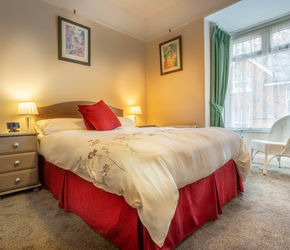 We have been running our bed and breakfast for 20 years. 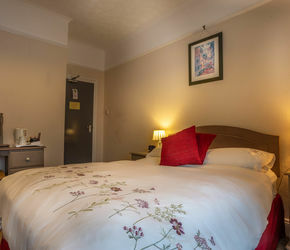 We love what we do and are always striving to ensure guests enjoy a relaxing stay . 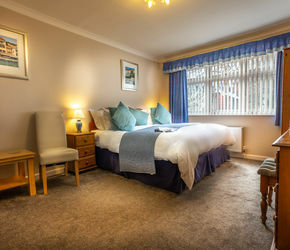 We have made our accommodation suitable for adults only, with a selection of rooms including doubles, super king and single beds , offering you a choice for your stay. We offer room only rates , so you can enjoy a lie in or you can add breakfast served in our modern dining room . We are motorbike friendly. We have secure parking behind gates, with CCTV and lights. 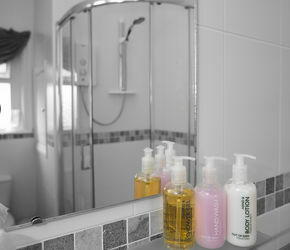 All rooms have space to move around and for motorbike gear. Beautiful countryside to ride around and enjoy. No need to catch a taxi after the gig, just a short walk around the corner and you are here. Never miss that email or be stuck without internet, our WiFi is available in all areas. Don’t miss your favourite programme, we have plus 1 channels as well. Plenty of Free parking is available on-site don’t worry about your car whilst you are here. 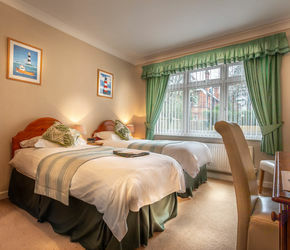 We are 500 yards from the seafront, slight hill to the beachfront. No sorry , Miss Lucy cat does not like other animals but she will come out and meet you if you want her to. She lives in our private quarters. How far are you from the O2 academy Bournemouth? We are 2 streets away and it's about 4 mins on foot. Is there enough parking for every room? Yes, we have 8 rooms and 10 parking spaces. No need to reserve any spaces. Do you have wi-fi in the bedrooms? Yes wi-fi is free in the entire house. Are we able to come and go as we please once checked in? Yes 24 access, however, we do ask for quiet if you are late returning in consideration for other guests. Do you have any rooms on the ground floor? 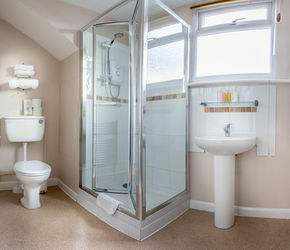 Yes we have one ground floor room as a twin en suite shower room.